The enrolment facility of online school management system allows the parents to register their children for next academic year. It supports with the availability of online registration forms as well as entry tests. 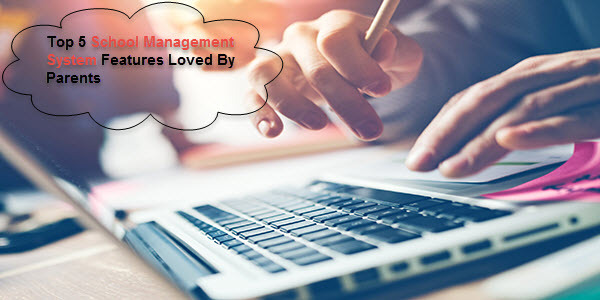 One of the significant features of the online school management system is it attendance management and view by all authorized entities. Parents may have access to view the attendance of their kids in a single window. They can see the real-time attendance and get notified about leaves. A school management system allows the parents to have a view of updated fee plans. Parents may check all previous and pending fee details with monthly installments. They can monitor the details and also get notified regarding upcoming dues. Most parents find it difficult to take a special time out to discuss the children’s performance with their teachers. A module of school management system especially associated with the student's information details. It allows parents to communicate with the teachers to monitor their educational progress. An online school calendar is also available, it contains a clear route of the complete academic year. It shares the details of holidays, events, assignments, meetings, and lecture and exam schedule. These are the top 5 school management features associated with student’s performance. They are loved by the families to streamline the flow of daily school activities for students as well as parents.